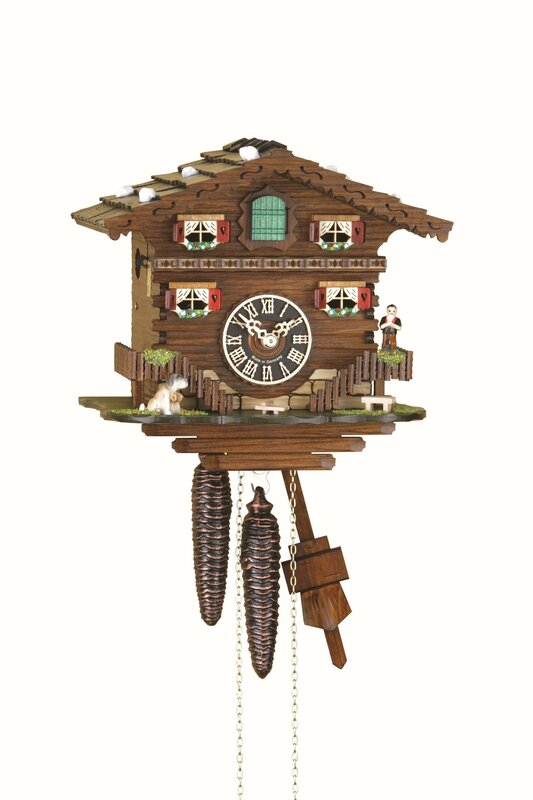 Handmade from wood and painted in the Black Forest. Mechanical 1-day chain movement, wooden hands, wooden dial, night shut off. Height 22cm. Beats at full and half hour Mobile Cuckoo.